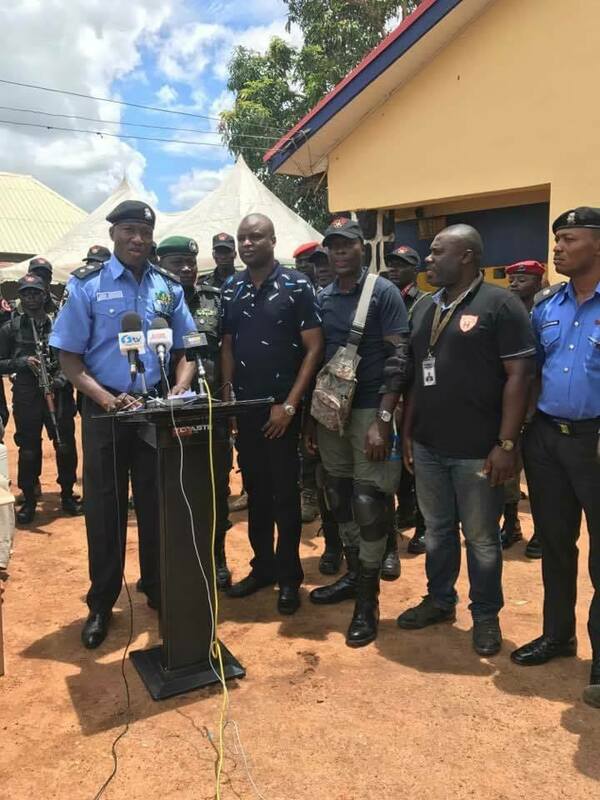 The Police on Thursday paraded 14 suspected kidnap and armed robbery gangs who specialize in kidnapping travelers along Abuja-Kaduna highway. The suspects who belong to two gangs were arrested in their hideouts and camps by personnel of the Intelligence Response Team and Anti-Kidnapping Unit of the Force. The arrest and parade is part of Operation Absolute Sanity that is intended to make the Abuja-Kaduna highway safe for road users. Since the Operation Absolute Sanity commenced few months ago, over 80 kidnappers and other criminals have been arrested. Suspects paraded at Jere Police Station in Kaduna State are; Umar Mohammed Babuga 27, Umaru Kiri 26, Abdullahi Tambaya 25, Abdulkarim Musa 27, Isah Musa 30 and Sani Musa 27. The other gang members are; Nura Usman 37, Bashiru Yusuf 25, Abdulrahman Abdul 20, Abdullahi Bali 40 yrs, Abdulrahman Hassan Nagoma, Usman Babuga 25 and Yeti Muhammad 32. Items recovered from them include two AK47 rifles, 16 locally made guns, locally made Ak47 with ammunitions, cutlasses, sticks and charms of different sizes and colours. Briefing journalists on the operation of the suspects and how they were arrested, the Force Spokesman CSP Jimoh Moshood said: “Consequent on the reinforcement of Operation Absolute Sanity on Abuja- Kaduna Highway with additional two units of Special Police Forces by the Inspector-General of Police to tackle the gangs of Kidnappers that escaped arrest on Abuja – Kaduna Highway and relocated to some roads around Jere to Abuja axis, the suspects were arrested in their hideouts and camps where some of their victims were rescued. The police also said most of the suspects were identified by the victims for being responsible for their kidnap. Moshood also said investigation is being intensified to arrest the other suspects at large adding that the suspects will be arraigned in court on completion of Investigation. Meanwhile, the IG has also directed the Assistant Inspectors General of Police (AIGs) and Commissioners of Police (CPs) in the zones and commands to replicate same on the highways and major roads across the country. The Senior Police officers are to beef up security in their Area of Responsibilities (AOR) and ensure massive deployment of Armed Police Personnel, Patrol Teams and undercover operatives to flash points and other vulnerable criminal spots to curb all forms of crimes and criminality nationwide.